Beth & Cory's Mom: That Was Close! 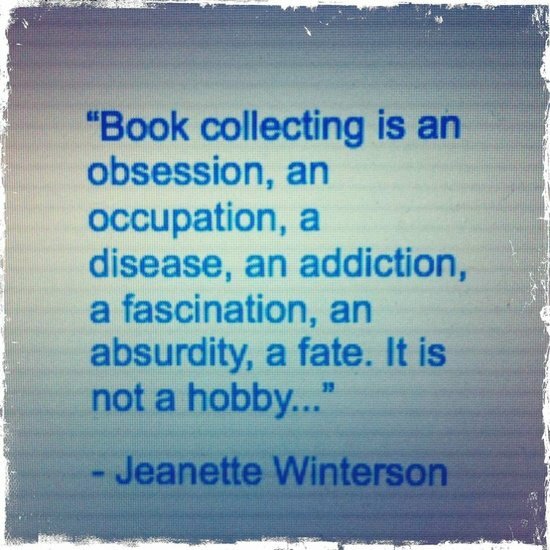 I saw this on facebook today and realized how much of a miracle it was that I was able to box up and get rid of all those books these last few weeks. a fascination, an absurdity, a fate. 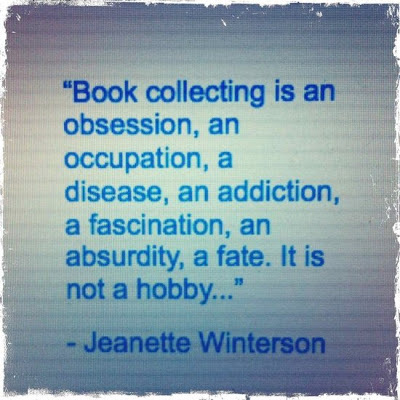 It is not a hobby..."
No Such Thing as Too Many Books? What Says Love to You?